Podiatry is an efficient form of diagnosis and treatment of all lower limb and foot related problems. 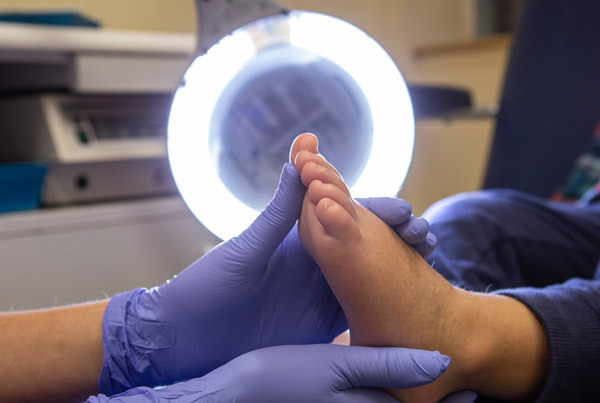 Podiatry can be used successfully to treat general foot related problems: skin and corns; nail problems, local surgery and lower limb injuries. 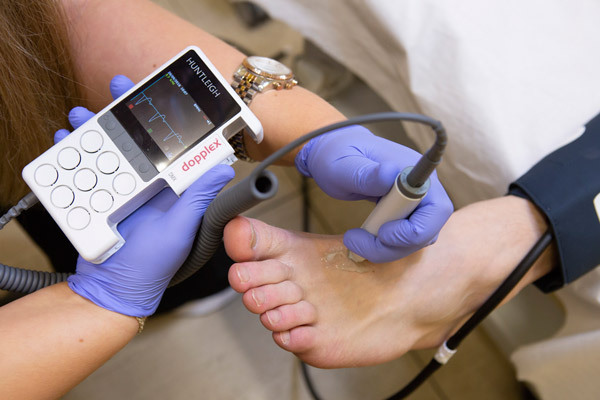 Podiatrists undergo a thorough training Bachelor of Science degree in Podiatry (BSc Hons Pod) and we are Health and Care Professions Council (HCPC) registered. Therefore, we are highly skilled in diagnostic techniques to ensure quality standards of patient care. We will take your full history including a list of medication, lifestyle, past medical history, activity levels and working environment. These factors are important to ensure the Podiatrist can form a complete diagnosis and management plan before any treatment can take place. We at Newry Foot Clinic aim to reduce your pain and treat your symptoms to aid your body to return to normal health. Treatment and advice on conditions including: corns, calluses, thickened or fungal nails, ingrown toenails, bunions/toe deformities, athlete’s foot etc. Nail Surgery is a process to remove painful ingrown toenails. After the toe has been anaesthetised, a tourniquet will be applied temporally and the nail or part of the nail will be removed. The chemical phenol is applied to prevent nail re-growth. The tourniquet is then removed and the toe is dressed. An appointment is made for a few days following surgery to review and re-dress the toe. A full medical history is taken before treatment can take place. A list of any medication currently being taken must be given to the podiatrist. A spacious slipper or sandal is advised and you will need someone to drive you home after surgery as you will not be covered on your car insurance. More in-depth information will be given before and after treatment, verbally and written. Nail surgery using phenol has a very high success rate of 95%, the procedure is painless and the risk of any complications is very small. A painless procedure carried out under local anaesthetic. Involves puncturing the verruca with a sterile needle to breakdown verrucae tissue by initiating the body’s natural immune response. Unlike caustic treatment Verruca Needling usually only requires one treatment. Podiatric Acupuncture is the insertion of very fine, single use and sterile needles into the body for therapeutic purposes. It is a very safe and usually pain free treatment. Acupuncture in podiatry can be used to treat and aid many medical conditions. It is particularly useful for pain of musculoskeletal and neurological conditions relating to the lower limb. Common conditions treated include plantar fasciitis, Achilles tendon injuries, shin ‘splints’, calf cramping, and arthritic joint pain as well as neuropathic pain such as neuromas. It can be used directly on knots in the body known as trigger points to relieve pain locally in the muscle or in other areas in the body. Furthermore, energy points known as ‘Acu’ points which are connected to meridian pathways in the body can also be targeted to relieve pain and help the body return to normal health. Acupuncture can be used very effectively as an individual treatment or in conjunction with other modalities, to offer the very best in patient care. A verruca is a virus called the Human Papilloma Virus (HPV). To become active it needs a host cell to infect, often entering through cuts or abrasions. The only way that a verruca can be effectively treated is if every infected cell is destroyed, and the only way that can be done is through an antibody response. For the same reason we cannot cure the common cold and ‘flu’, we cannot cure verrucae; but the immune system can, given the chance. That is where verruca needling is so useful. It is thought that the reason the immune system cannot see the virus is because it is confined to the epidermis without any systemic dissemination. The way the needling works is to push verruca cells from the epidermis through into the dermis and hypodermis or adipose layer thereby inoculating the underlying tissue. This initiates an immune response, the appropriate antibodies are produced and subsequently the verruca begins to naturally deteriorate before ultimately disappearing. Verruca needling is performed under local anaesthetic to ensure the foot is completely numb before proceeding. After this, a hypodermic needle is used to repeatedly puncture the verruca. This pushes verruca tissue from the epidermis through into the dermis and underlying adipose tissue layer. Once this process has been completed a simple dry dressing is applied. This must be kept dry for at least twenty four hours. The anaesthetic will start to wear off in two to three hours. After forty eight hours showering is permitted and life can continue as normal. There may be some discomfort for the first couple of days and pain relief may be taken to ease this as long as it is not aspirin based. The site of the procedure will be checked by your podiatrist after one week to check healing and remove scabbing and again after eight weeks to measure the degree of regression of the verruca. It is rare to find our left and right sides to be exactly symmetrical. This is especially so for our feet and legs. In addition, many of us have minor deformities such as a slightly twisted pelvis, bow legs or even one leg shorter than the other. These can all result in painful walking and running as our body has to try to cope with and compensate for these irregularities. These compensations can put muscles, joints, ligaments and tendons under excessive strain, so much so that they begin working in an unnatural or peculiar manner. As time passes, these can all become damaged and/or inflamed. 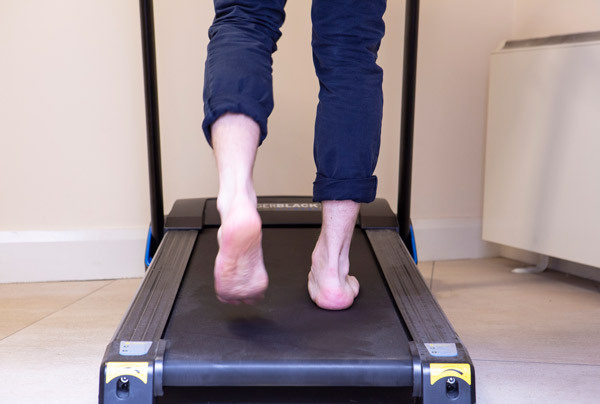 Newry Foot Clinic will carry out an in-depth assessment of the relationship between both lower leg and foot function and will identify the source of your pain or problem. This can then be treated effectively. Custom-made or pre-fabricated foot insoles can be prescribed to treat many foot and lower leg conditions. So, please call us to make an appointment. A thorough neuro-vascular assessment, after which a report of results are issued for the patient and appropriate health advice given. Marble Hill products are available in clinic, which are 100% natural, cruelty free and recommended for Diabetic skin and nails. Toenail reconstruction is the restoration of a previously damaged nail by a podiatrist. The process of toenail reconstruction involves the application of numerous layers of a special gel to the nail bed or damaged nail, onto which UV light is focused in order to harden the gel. The gel used in toenail reconstruction is different to that used to create acrylic nails. LCN Wilde-Pedique Silver Plus is especially designed for toenails due to its high occlusion ability and its flexibility; it contains an anti-fungal agent and is ideal for cosmetically treating fungal, damaged and unsightly nails. Who could benefit from toenail reconstruction? What does toenail reconstruction involve? 1) Any remaining unwanted nail is reduced as much as possible by the podiatrist and the surface of any nail which cannot be reduced is filed to produce a rough exterior. 2) The podiatrist cleans the nail removing any dirt or oil and disinfecting the area. 3) An antifungal agent is applied to the surface of the nail or nail bed to allow the gel to bind more easily. 4) A special gel is applied in liquid form onto the surface of the natural nail/nail bed. The gel is applied in layers using UV light to harden the gel after each layer. 5) Once the nail is formed into an appropriate thickness, it is smoothed over and in some cases a layer of gloss is applied. What are the benefits of toenail reconstruction?